Ragus Commercial Manager Frank O’Kelly toured the Berkshire Production Facility with Rob Evans Bako Wales Sales Manager, Richard Thomas Bako Wales Technical Sales Representative and Dyfed Evans Bako Wales General Manager. 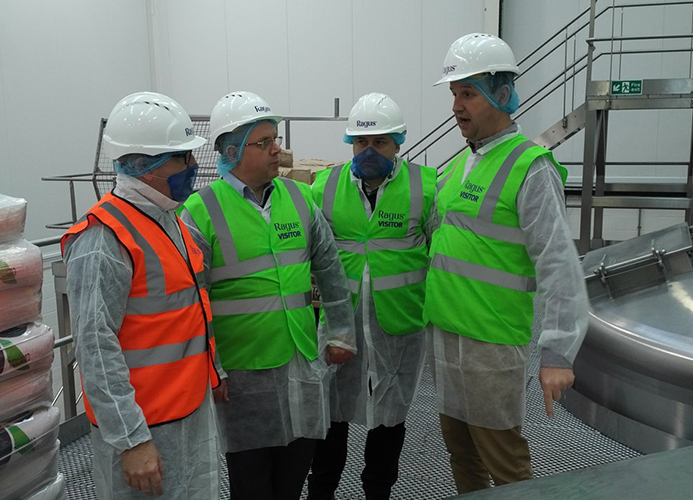 Representatives of the nationwide ambient, chilled and frozen food ingredients group spent an informative day at our Berkshire production facility, learning how Ragus manufacture the co-operative group’s Bako Select range of Golden Syrup and Treacle. The complete manufacture of these products, developed and produced from Ragus’ own resources is based on our in-depth know how and talent, backed by a class leading level of service which the Bako Group have come to rely on for over 18 years of continuous national supply. Bako Select range of handpicked products are all rigorously tested by their highly trained bakery and technical teams which only select the very best products which are delivered nationally in multi-temperature distribution fleet to allow a variety of ambient chilled and frozen products from the same vehicle to the nation’s bakers, coffee shops, confectioners, food manufacturers, hospitals and schools, all of who rely on exacting quality standards and service levels of supply. 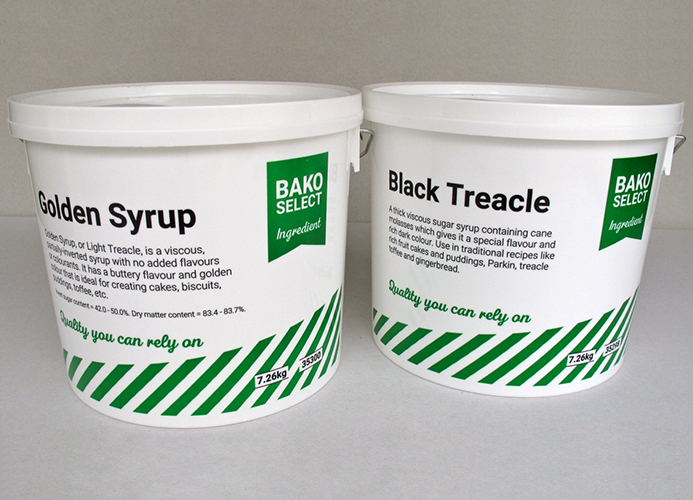 Two of the many products supplied to Bako by Ragus Pure Sugars.